1. 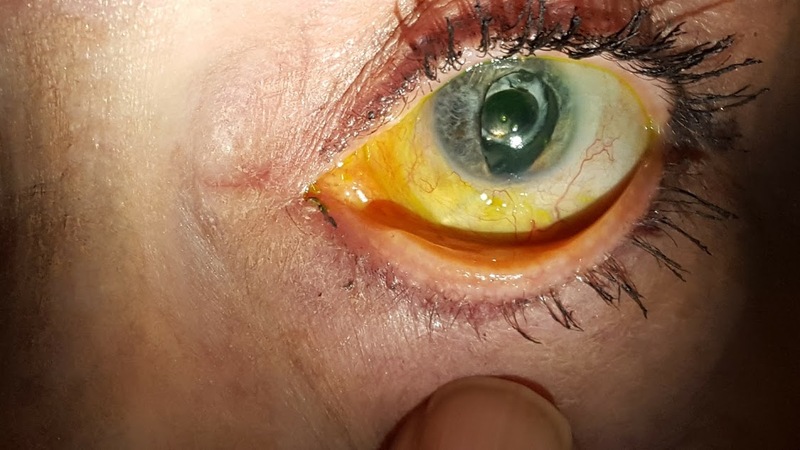 What is the reason for the shape of this abnormal iris abnormailty? 3. Guess what her HVF would like in OS compared to OD ? Iris coloboma, which has a keyhole shape due to failure for the embryonic fissure to close in the 5th week of gestation. Ant segment colobomas may be associated with hearing loss in CHARGE syndrome. The HVF OS may have a superior VF defect due to inferior retinal, optic nerve, or other posterior colobomas. OD expected to be normal barring other defects. I agree, typical iris coloboma in inferonasal quadrant resulting from failure of closure/incomplete closure of embryonic fissure. CHARGE syndrome, which includes hearing loss, can be associated with ocular coloboma. If this typical coloboma involves chorioretinal lesions, there could be superior visual field defects. Iris coloboma, due to defect in embryologic development. CHARGE syndrome associated with anterior segment colobomas, and can include hearing loss. Right eye may have normal HVF, while left eye may have defects related to any posterior segment abnormailtles. If there were an inferior coloboma of the retina or optic nerve, would have superior defects. 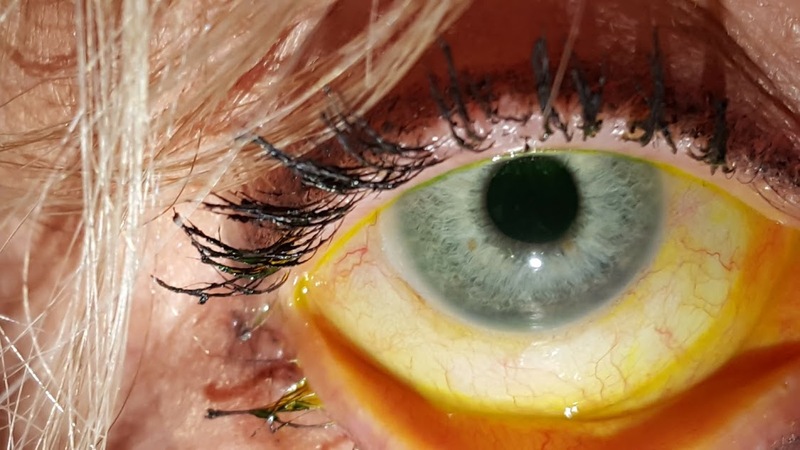 This patient has a typical iris coloboma because it is in the inferno-nasal quadrant. This defect is cause by failure of the choroidal issue to close between the 5th and 7th week of gestation. CHARGE syndrome is a mutation in the CHD7 gene which can also cause ear abnormalities along with many other systemic findings including nasal atresia and heart defects. Coloboma can also be present in Trisomy 18 which can be associated with sensorineural hearing loss as well. If the coloboma was continuous and had retina involvement its likely that the HVF would have a superior defect OS. I agree that she has an iris coloboma, and also that iris coloboma can also have retina, choroid, optic nerve involvement. Another syndrome that could be associated with an iris coloboma and hearing loss is renal-coloboma syndrome. 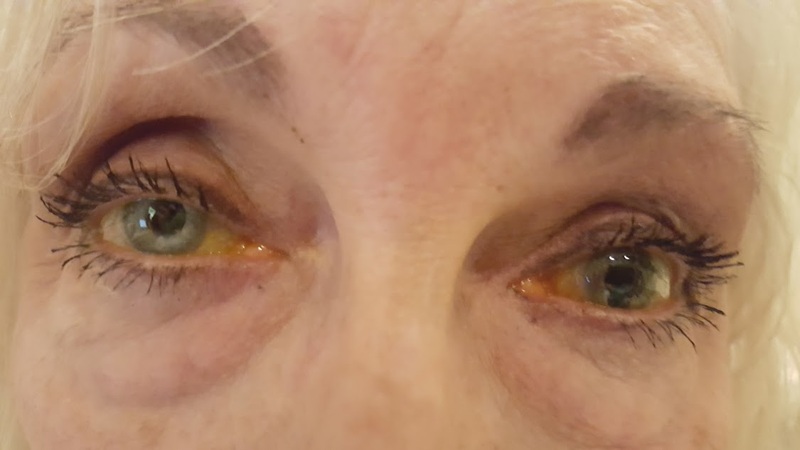 In this syndrome, affected patients generally have hypoplastic kidneys (which can lead to ESRD) and an iris coloboma. They may also have kidney cysts, loose joints, and mild hearing loss. The visual field would depend on where/if there were other colobomas (which there likely are given the difference in vision) in the eye are.